In addition, Sherry highlights for us the stages of Intentional Discipleship: Trust, Curiosity, Openness, Seeking, and Intentional Discipleship. We will explore later how these are also steps to Digital Discipleship. The wonderful background materials related to Evangelization and Discipleship offer us helpful suggestions for evangelization and discipleship today. In general, most of these materials do not highlight how being a Digital Disciple stands as an essential element at the heart of ministry. The goal of the Digital Discipleship Series is to encourage us in digital discipleship and evangelization efforts. We no longer have an either/or option. We are now called to integrate the apostolic opportunity of the digital world, so that we may use it effectively in our everyday efforts to incarnate the Gospel message. Most of us are Disciples! Yet, when we are asked if we do anything with technology, normally we frown and raise our eyebrows when the question is asked. After all – Discipleship is about being “real” with others. Sharing our faith with them. Of course, in the minds of many – this means in a face-to-face opportunity. Today digital tools/options expand a deeper challenge and opportunity for us to share our faith with others via digital tools. Yet in today’s Digital World, where we now have access to a variety of digital communication tools, it is time to use these tools to be Digital Disciples in order to evangelize our family and friends and our church. Trust – Trust that we can enhance the sharing of our faith with others in digital ways. Curiosity – Numerous digital tools are familiar to us: Facebook, Twitter, Instagram, Pinterest, Snapchat, and more. Our curiosity and even our digital anxiety must lead us to explore how we can use these tools to communicate both the power/love of our faith and also our love for Jesus to others. Openness – Our personal capacity to entertain different and often non-customary digital ideas offer amazing apostolic opportunities. Seeking – As seekers we continue to search with Jesus new ways to be a disciple in a 21st Century Digital World. Intentional Digital Discipleship – Our passion to share our faith becomes a both/and experience. We relish being able to spend face-to-face time with others. While at the same time I/We can use digital means like Facebook, Twitter, and more to enhance our faith and love of Jesus to others. In other words, the challenge for the Church today is not to use the Internet to evangelize, but to evangelize from within this digital milieu. Every parish has a Facebook page! So what about creating a short Sunday Gospel video that highlights the scripture story of the day? In addition, include one, two, or three reflection questions for the week! Once created, you can add to your parish Facebook page. Perhaps this is a project for your junior or senior high students or even your RCIA participants. It becomes a 21st Century way of studying the weekly scripture and sharing with others. It can easily be viewed on a computer, smartphone, or tablet. As you read the Sunday Gospel, have a highlighter in hand. Highlight the “phrases” that stand out for you in this reading. Using the search phrase “Creative Commons Zacchaeus” or “Creative Commons (image type)” look for images that will match the phrases you identified. Remember you want to locate images that are free and may be used without violating copyright laws. Here are a few examples for images that may be used in this video. 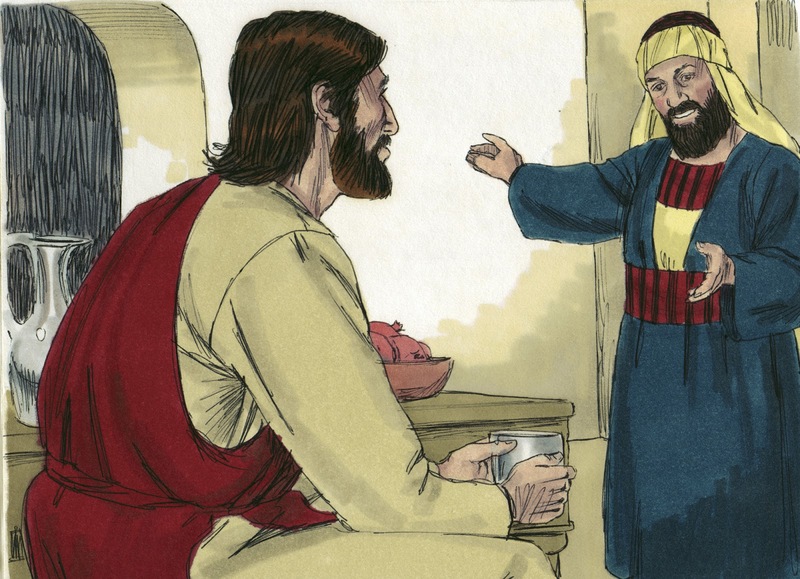 Everyone began to grumble – He’s a sinner! How have you experienced the seeking or saving power of Jesus in your life (maybe even in the past week)? What are some ways Jesus has changed you? How can you be a witness to Jesus’ transforming power in your life? Once you have a script you are now ready to work with Animoto, an online tool that uses your photos and text to create a professional video slideshow simply and easily. Animoto is easy to learn and easy to use. If you are unfamiliar with Animoto, go to YouTube and search for “Animoto Tutorial” to learn the ins and outs of this tool. Sign into your account. If you do not have an account you can register for one. You can create a 30-second video on a trial version. There are various options so that you can create Animoto videos that are longer than 30-seconds. You can apply as an “educator” for a FREE ANIMOTO PLUS ACCOUNT. Or you can apply for ANIMOTO FOR A CAUSE. If you purchase an annual Animoto plan, you are able to create videos that are Full Length (i.e., longer than 30-seconds). Set the mood for your video by choosing a video style. There are a number of video styles to choose from. Pick something that enhances your Scripture story. Once you have chosen a style, it’s time to add your photos. You can upload files from your computer to be used in the template. Once your images/photos are added, if needed, you can click and drag the blocks to change their order. Once the photos/images are added, click on them to add captions or click Add text to add a title card. Remember to create a title screen. Test as you continue to “tweak” your video. When you are ready, click on Publish. You will receive an email from Animoto to tell you that your video is ready. Once you have a link you can share in a variety of ways. As Holy Week approaches, we will take time to remember the Passion, Death, and Resurrection of Jesus through the Stations. Why are the stations part of our prayer? It allows us to make a spiritual pilgrimage of prayer, through meditating upon the scenes of Christ’s sufferings and death. 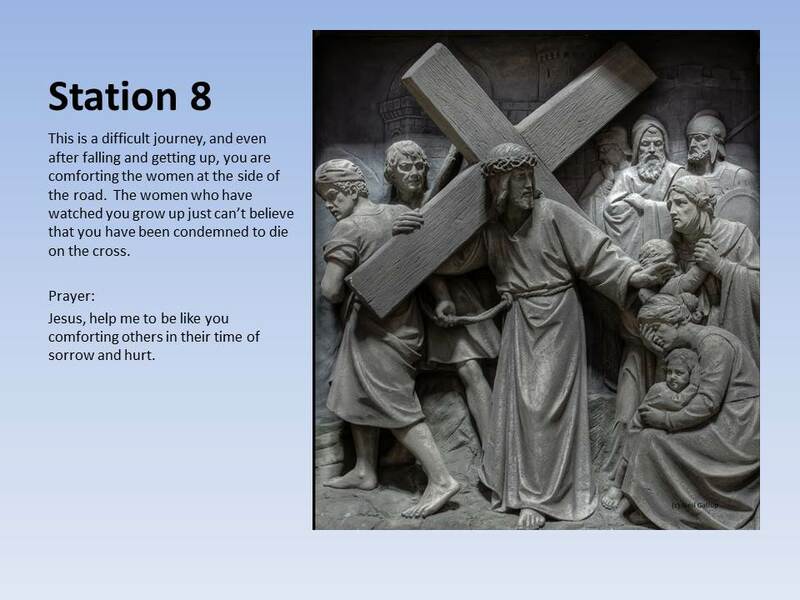 Look over the following Stations of the Cross, and determine which one is best used with your students. You can assign ONE station per small group of students or if you have a small group of students, you can assign a couple of stations per group. This is their background information for the station. After assigning a station to a small group of students, ask them to draw or choose an image that represents the station. Invite them to prepare a short meditation and prayer (one or two sentences) for the station they have been assigned. There are various ways they can create their image from drawing their station on paper and then scanning to an electronic format, or using electronic drawing tools to create their drawing, or simply going over to church to photograph the station that they have been assigned. 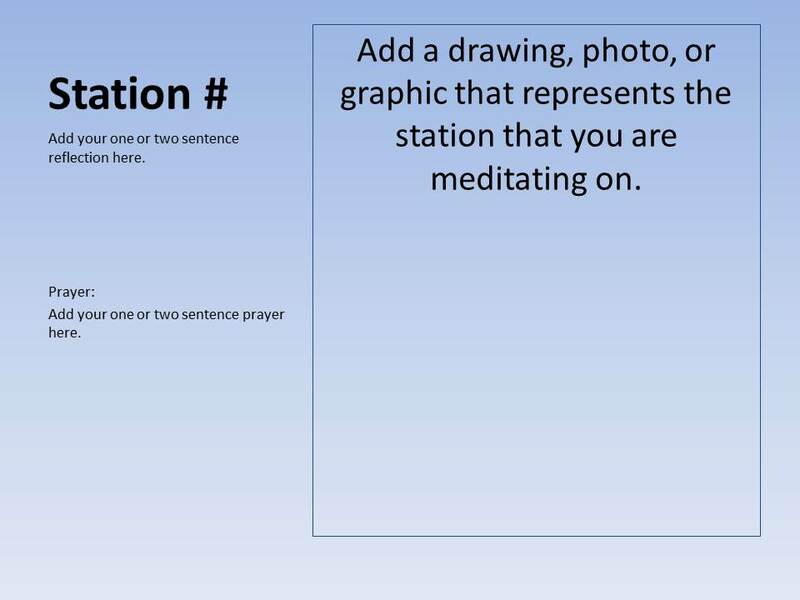 Using PowerPoint (You may want to use the suggested template or you may wish to design a template) invite your students to create a PPT slide that represents the Station that they have been asked to prepare and add the image, reflection, and prayer. Save the slide in two formats – 1) the usual PPT format and 2) the JPG format using the “Save As” function and for a File name use the format of Slide # (the number of the Station) so you will have files named Slide 1, Slide 2, Slide 3, etc. For FILE TYPE, choose – JPEG File International Format. Now that you have the slides in a graphic JPEG format that can be used by video tools like Animoto and 30 Hands, you are ready to create a video meditation that can be shared on your parish website. Or once uploaded to YouTube or Vimeo, you can share the link with your families on the parish Facebook page or Tweet the link out to the world. The FREE Animoto will only allow you to create a 30-second video. So, to do a longer video, you will need to purchase either a monthly subscription for $5.00 or an annual subscription for $30. I love this tool and have found that the annual investment is a wise decision. 30 Hands Mobile is a FREE app for those using a smartphone, iPad or tablet computer. Check out the 30 Hands website for additional information. What is so helpful about this activity is that you are engaging your students in a traditional prayer experience of the church – The Stations of the Cross – by using the technology that they are very comfortable with. Blessings as we prepare to enter into this time of remembering the gift of the Passion, Death, and Resurrection of Jesus! Recently I’ve taken time to retreat to refresh and renew – body, mind, and soul. Little or no computer technology during this time! Thus my Christmas reflection is late this year. After I awakened this Christmas morning, I sat down at my computer to share my Christmas wishes with you. What initially caught my eye as I began this task is the “Christmas Celebrated Near and Far” Associated Press story. As I viewed the photo gallery, I was reminded that Christmas is celebrated around the world. Today we remember that our Christ came to us as a baby in very humble beginnings born in a stable surrounded by shepherds. Pope Francis in his Christmas Eve homily simply reminded all of us that our central cause as a church is to be attentive to the poor. How? That’s what we need to figure out on a daily basis. As we remember and celebrate the gift of Christ in our lives, may the Nativity Scenes that are placed in our homes, churches, and wherever we may find them, remind us that we are gift to one another. Here is the translation of the Popes Christmas mass night homily – Jesus is the Light who brightens the darkness. May his words inspire you as we celebrate this wonderful feast of Christmas. I’m always looking for wonderful examples of what others are doing to integrate technology into the teaching of Religion. I’d like to share “Understanding the Life of Jesus: an INCARNATION CATHOLIC School Big6 Research Project created by Rhonda Carrier. I encourage you to explore the project. For those in Catholic Schools, you’ll see how Rhonda has applied the Common Core standards to this project. More importantly, you begin to see how our students can be engaged with digital tools to expand and research faith topics. Rhonda, thank you! Excellent project! For those who would like to meet Rhonda, I encourage you to attend the 5th Annual INTERACTIVE CONNECTIONS Conference in Orlando, Florida. Here you will have the opportunity to learn from Rhonda how she is integrating technology into the religion classroom. For those who are catechists at the parish level, these are the kinds of projects you would like to learn about, as you can easily apply what you learn here with your children. I often wonder – after all the workshops, articles, mentoring that I’ve done over the years – how have I (and others) inspired catechists to be Digital Disciples? As I reflected on this question, I thought – INTERACTIVE CONNECTIONS has the means to draw folks together to share their stories and to interact with the audience who joins them to share their stories. We do not need to get on a plane, train, or automobile to travel anywhere. We can network and connect with one another, regardless of where we live, with digital tools. In addition, since the founding of Digital Catechesis in 2011, we have grown to over 900+ members. Some members are very active and some are on the sidelines. It would be my hope that the family of Digital Disciples are growing within this group. And what it means to be a Digital Disciple will have a unique meaning for each person. For some, they will be the parish webmaster, developing the parish website. For others, they will be catechists and teachers with children, adolescents, young adults, and adults who are stepping into the digital world utilizing the digital methodology that now surrounds us in our everyday lives. As we adapt to this ever evolving digital world, we will be innovators, early adopters, early majority, late majority, and laggards! Even the medical field uses this language. In a recent article that I read about medical clinicians, I love the line “Groups of clinicians change slowly, even when a change is obviously the best course of action. The Technology Adoption Curve, models the time required to achieve group buy-in for a technology, whether it’s a stethoscope or an EMR.” We can say the same about catechists and others involved in ministry. I am an innovator! I am infatuated with technology. I try things before training is available. I am habitually drawn to new technologies (and invite others to join me) to build on them and apply to faith formation in new ways. I trust that I am nurturing the early adapters so that they will step into this digital world and despite feeling any fear they may have, they will be creative and productive. And my curiosity has inspired me to invite these early adapters to share their story. How? Through “Show ‘N Tell,” a webinar style of sharing our stories with one another in the hopes of creating a network of stories that demonstrate how new tools can be used to share our faith stories with one another. I was delighted to have Joe Mazzeo email me with his request to share what he is doing with his pre-Confirmation students. 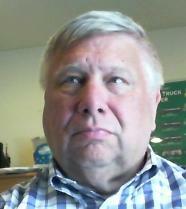 He is our first volunteer for a “Show ‘N Tell” webinar. Joe did a wonderful job in sharing his story. You can view the slides from his presentation below. As soon as the video is uploaded to Vimeo, I’ll add it to this page so that you can come and listen to what Joe has shared. If anyone is interested in sharing their story, click on the button above. I’ll get back to you as quickly as I am able. In the meantime, if you feel that you are or are slowly becoming a Digital Disciple, click the “Like” button. 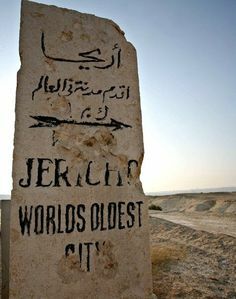 If you have ever been in Jerusalem, you have probably experienced praying the Stations of the Cross winding your way through tight and narrow streets. I experienced this prayer journey in May during a pilgrimage to the Holy Land. The memory of the noise, people staring at us as they passed buy, and taking a turn at carrying the cross will not be forgotten. This is the journey that the Lord once took as he was condemned to die for us. So, in a digital world, how can we pray the Stations of the Cross in a meaningful way? Saint Mary’s Press is providing a wonderful way to do this with their – Virtual Meditations: Stations of the Cross. I just prayed the stations using my iPhone, what an incredible experience. Sitting quietly in my living room, I was able to view the virtual stations that were created by Busted Halo. In addition, a series of suggested videos were generated showing a title and a link became available. Imagine easily having access to a variety of clips related to the Stations of the Cross at your fingertips. While visiting Queen of Peace Catholic Community’s Pathfinders Youth Group, I experienced a parish comfortably using technology in prayer with their youth. Amy Barber, Middle School Youth Minister often uses technology in her sessions. I came to see for myself how she was doing this. I was pleasantly surprised to see that she easily adapted what could be an individual prayer experience into a group prayer experience. How? This parish has the vision of integrating technology into its worship space. What I learned from this experience of praying with this youth group, is that media makes sense to them. It grabs their attention. The visuals help them understand the story of the Passion and Death of Jesus and also relate it to today’s suffering world. I witnessed these youth understanding and appreciating a traditional prayer experience offered with a contemporary method. Of course, as Holy Week approaches, they were encouraged to return to church with their family and friends with their mobile devices, with a QR Reader installed. I’d love to be a mouse in the corner of this church to see who returns to pray the Stations of the Cross using the Virtual Meditations. Of course, if you like this post, I’d love to hear from you. Perhaps you have a comment or question. Or, just click the “Like” button. Learning more about Digital Discipleship so that we can be faith learners in the 21st Century. Video for May? What About….